I can get terribly excited about excavating old Lego from attics – specifically the one above my old bedroom at my Dad’s house. I knew there was a tonne of stuff up there (as well as Heroquest, Space Crusade and many other marvels) and we extracted it. We played with a lot of it last weekend when my cousin’s son was over (my second cousin?) and it was good. I brought most of it home in a rucksack. Here’s me emptying that rucksack out. 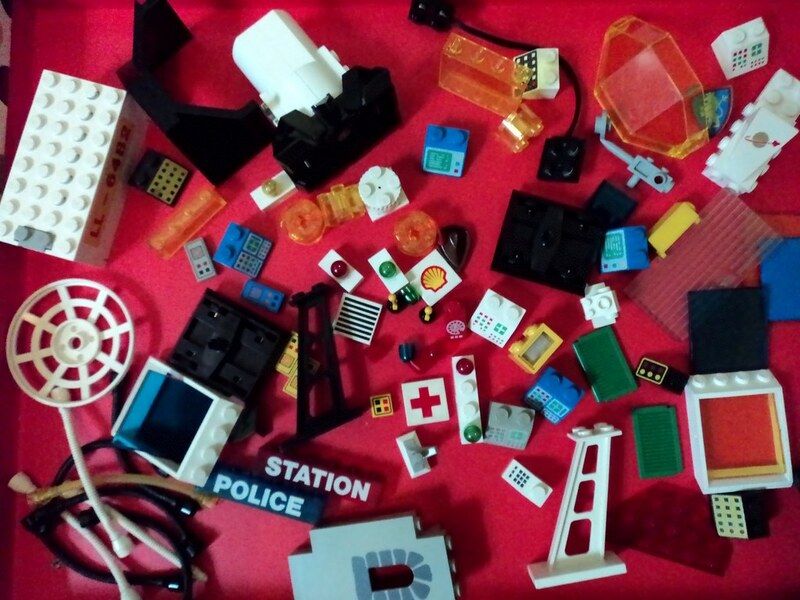 I chose to leave a few things behind – mainly old Fabuland and the monorail track / boat bases / thousands of wheels as they aren’t things I have the space to use. I even have the instructions for building it which is pretty exciting. I also adore the black-visored space men. I have uses for them I think… There are lots of cool bricks in these sets. I’ve always liked the monitor display panels and now I have many, many more. I’d forgotten the occasional weird logos found on Lego bricks – I’m rather enamoured of the planet-killing Shell tile. I’m sure I can find a use for it. Eagle-eyed readers will no doubt spot the Light & Sound bricks and power box in the red picture. Bless Lego, it used to be a 9 volt battery to power two flashing lights and a siren. We have come a long way. 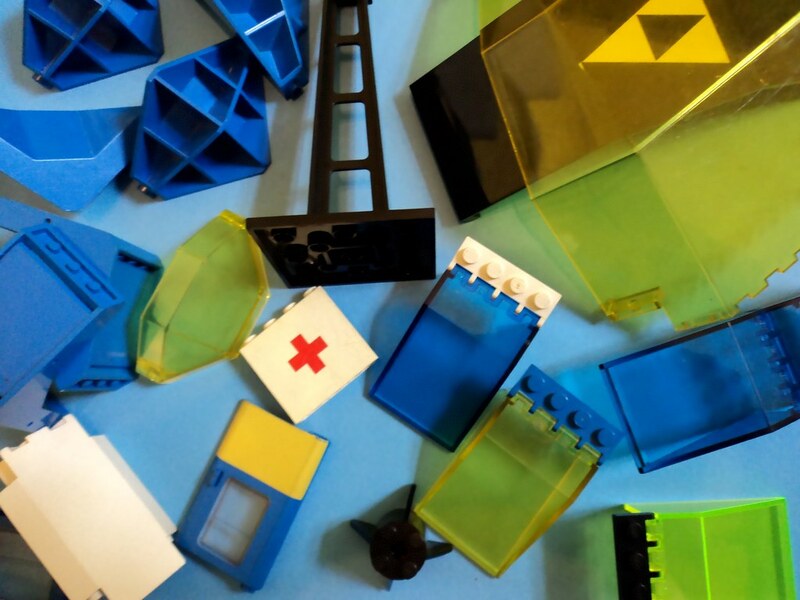 I’ve also now got more awesome transparent yellow and blue bricks. Even more eagle-eyed Action Man types will have spotted the power unit and bases for the Lego Space Trak Monorail… yup, I have that! It’s an awesome construction (although I have left the tracks at Dad’s – I’m now wondering why…) and even without building the whole thing I’m pretty psyched about the strut pieces that come with it in white and black. Maybe now I’ll do what I originally intended to do – build a display unit for mini figures. 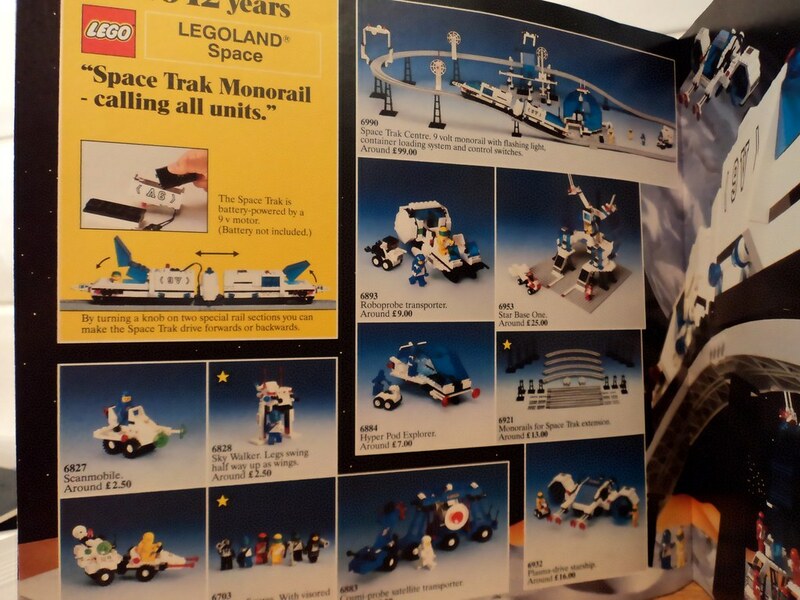 This was one of my favourite ever toys, though I’m slightly ashamed by how much it cost – even back in 1988! 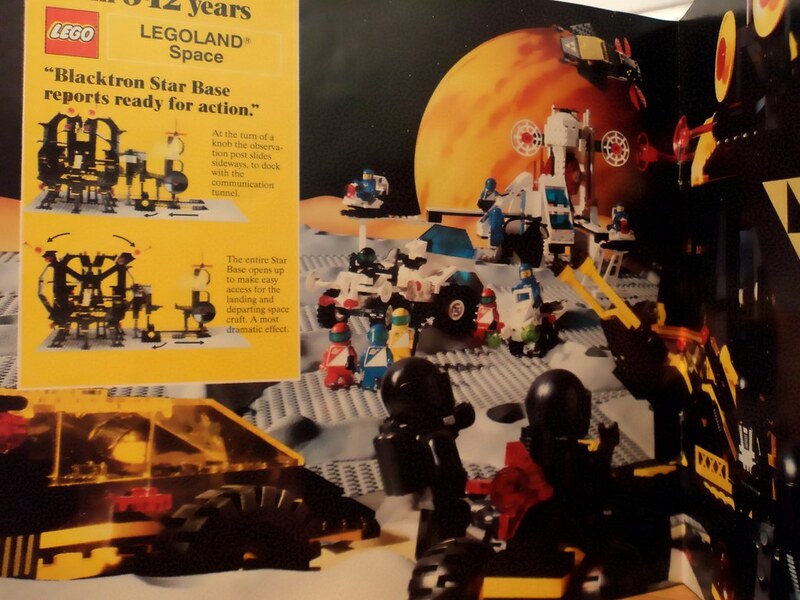 (the pics are taken from the 1988 Lego catalogue – an item I jealously prize). One day it will rise again! I have many, many fond and near-identical (so possibly the same) memories of assembling and disassembling this monorail. I always wanted to get extra track, but never did. Hello eBay… mmm, maybe not; the prices are crazy. 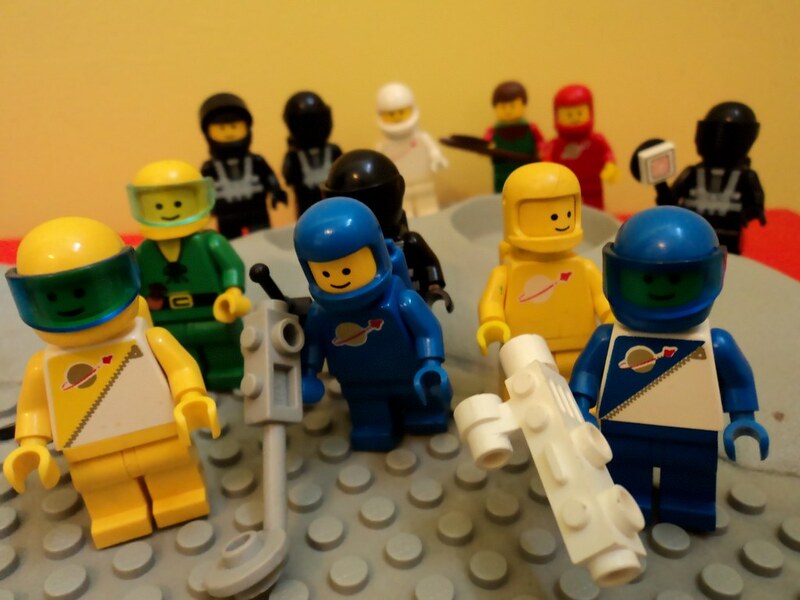 Always the minifigures – these spacemen evoke such strong happy memories for me. Even all the ripped open helmets (I blame my brother) make me feel happy. There’s a fair chunk of Lego Castle mixed in which I shall no doubt find diverse uses for, but it’s the Lego space fellers I want to do something with next, once my steampunk progresses a bit anyway. I’m sure someone can correct me, but I think this stuff came out just before Lego added new expressions other than the bland creepy smile. I’d also forgotten about the amazing metal detector thing in the hands of my blue spaceman. I guess the zipped uniforms are also a slightly different set but I haven’t looked into that yet. So yeah – that’s all my current joy! I was thrilled to see the blue Spaceman figure in the trailer for the Lego Movie – I think it’s going to be great!